Maryland's ultimate shopping, dining and entertainment destination; includes the best names in manufacturer and retail outlets, specialty retailers, category dominant stores, themed restaurants and family entertainment. Mon-Sat, 10am-9:30pm; Sun, 11am-7pm. Restaurants, movie theater and some stores may run extended hours. Thr mall is a solid spot to shop. It is advertised as an outlet mall but the prices do not agree necessarily. The theater is a solid one with great seats and sound. This mall has everything from food to shops and even a currency exchange. It was a one stop shop, got my euro's for my trip, new outfits and luggage. Been here basically for the movie theater. 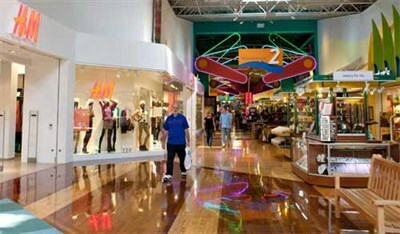 Mall is huge and does have a ton of stores. Great place to visit and a very nice movie theater.